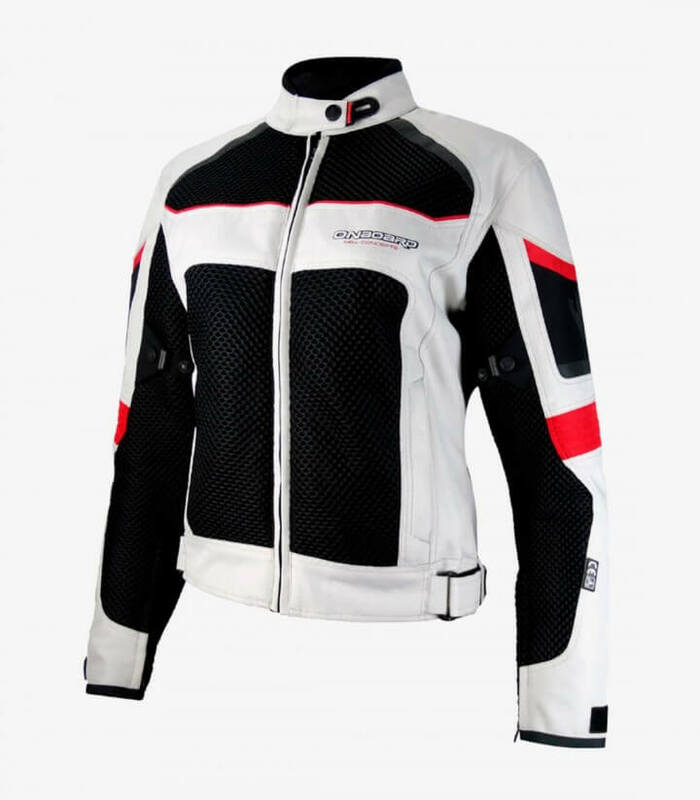 Get now the 3D-Air Lady women Summer jacket in Grey / Black / Red by On Board. 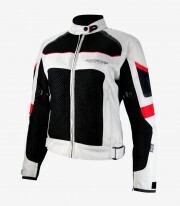 The 3D-Air Lady women On Board Summer jacket is now available in acmotos in Grey / Black / Red color. 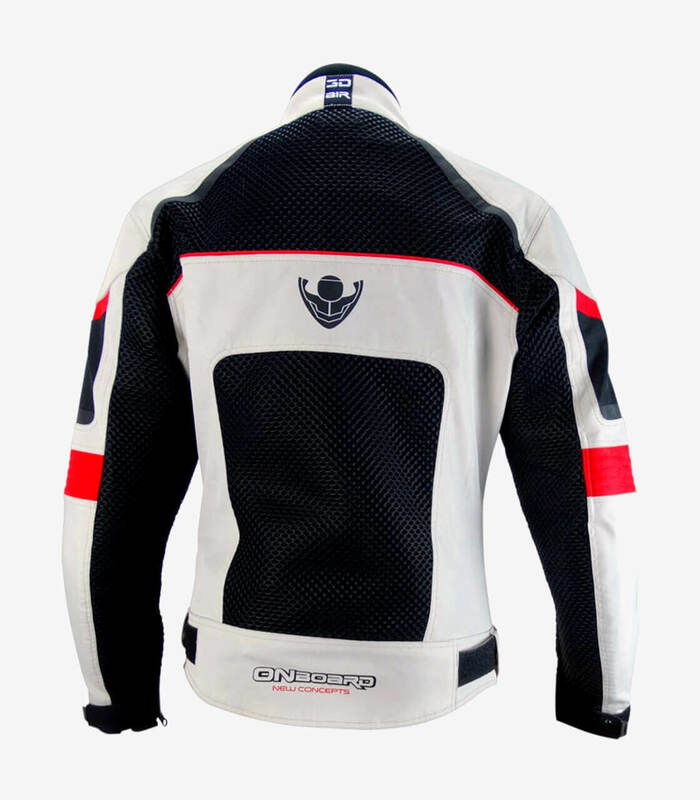 It's based on a combination of HARD-TEX fabric (Polyester 600D highly resistant to abrasion) and Mesh3D, a very cool and breathable fabric. The Mesh3D provides a large air circulation, thanks to the size of each hole in the network. This combination of fabrics gives it a pleasant, light and very warm touch. Includes A membrane called DRY-B is waterproof and at the same time breathable and at the same time acts as a windbreaker. 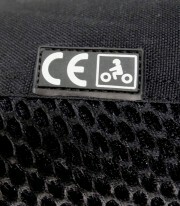 It contains elbows, shoulders and back protection compiling with the homologation CE-EN1621 and removable. It includes the technology V360 with reflective parts made in material 3M that reflects the lights from cars and motorbikes in all angles. The inside of the neck is made with a soft fabric that avoids irritations very pleasant to the touch.